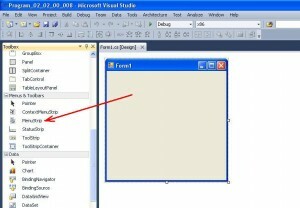 Create an application like Windows Forms Application. On the application form to create a menu on the model, as shown in Figure 1. Detailed example of creating the application using Windows Forms Application template is described here. Save the project in any folder. 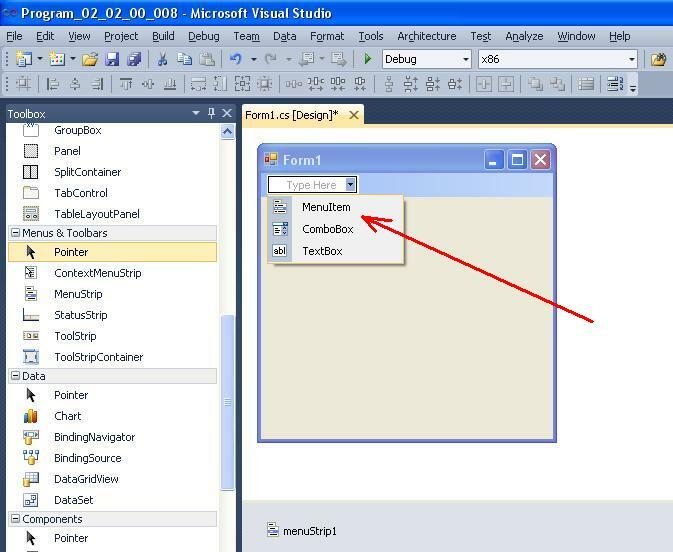 To create the menu you need use the control MenuStrip. 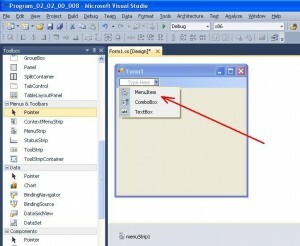 It is located on the Toolbox on the tab “Menus&Toolbars” (Fig. 2). 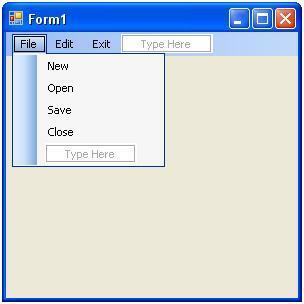 After placing the component on the form (with the mouse) application form will look as shown in Figure 3. At the bottom of the form of designing an object with name menuStrip1 is placed. By using this name you can access to the properties and methods of the menu. 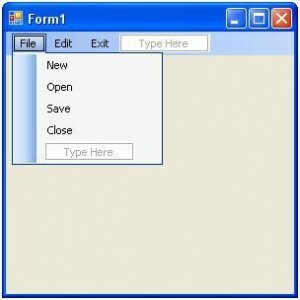 TextBox – the control of “edit field” type. In our case, we select first variant MenuItem. 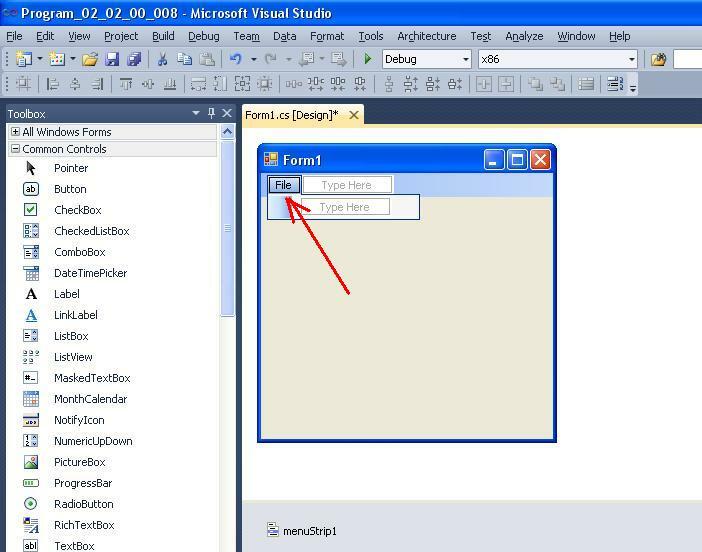 To create the submenu File you need to type “File” (Fig. 5). With the help of mouse and keyboard you can add items of menu. 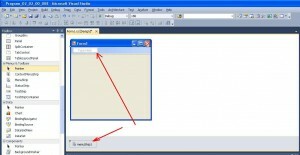 To delete the menu item, you need select it previously and press Delete button. After creating all menu items, application form will have view as shown at Figure 6. 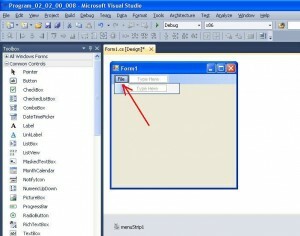 Next steps are the programming the events, which will be generated when the user will select the particular menu item.